Whether they are in the season of waiting and anticipation, the season of new beginnings, or those precious and chaotic childhood years, I love working with clients who understand that these moments in our lives are fleeting and deserve to be captured in the most beautiful way possible. Gone in a blink, no time is as sweet or passes as quickly as the newborn phase. I take a natural approach to newborn photography, focusing on capturing the connection between you and your baby. 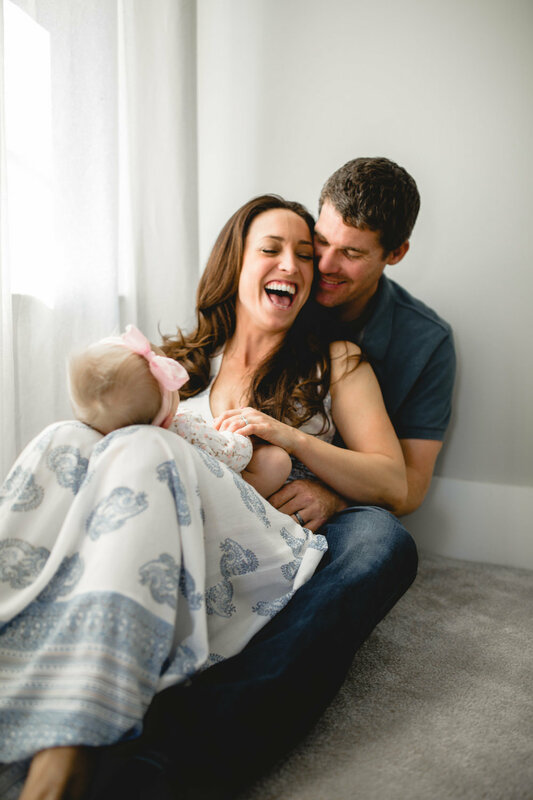 Maternity sessions document this sweet time of anticipation as you wait to meet someone you already love more than life itself, and celebrate the body’s amazing ability to change and grow new life. Capturing the chaos and beauty of life with your young children as they grow. My favorite place to capture families is in the place they are most comfortable: their home.